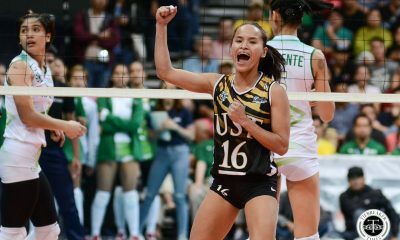 After opening the season neck-and-neck, the reigning champions University of Santo Tomas Lady Tracksters and traditional powerhouse Far Eastern University Lady Tamaraws continued to lead the competition and are still in the chase for the title. Still, the limelight made its way to different schools, as the Ateneo de Manila University Lady Eagles and the De La Salle University Lady Tracksters also took golds in the two days of the tournament both in rousing fashion, Thursday at the PhilSports Arena Oval Track. In the afternoon of Wednesday, the Lady Eagles showed up and dominated the pole vault event, putting in all four vaulters in top positions. Jiamari Kawachi was alone at the top with a leap of 3.20 m, demoting fellow Atenean Isabella Artuz to the silver after a 3.10 m jump. The two other ladies from Loyola Heights ended in fourth and fifth, as Jannella Evora of UP spoiled a podium sweep for their neighbors. 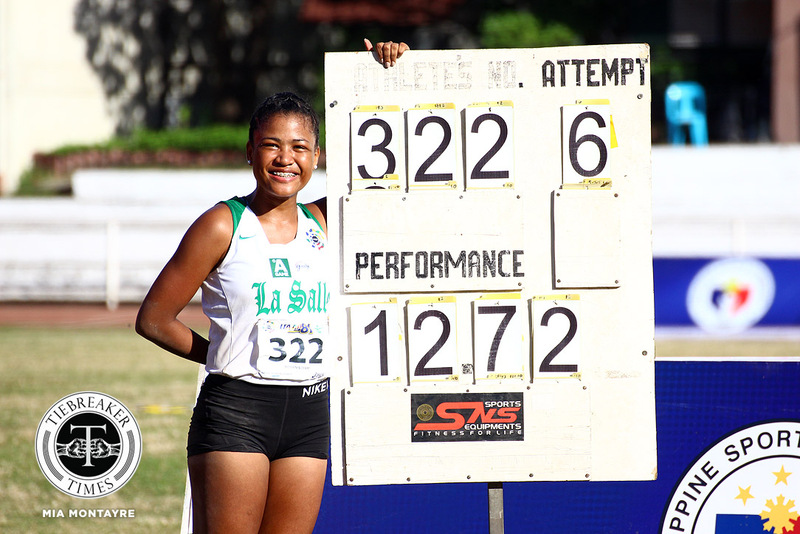 Arch-rival La Salle made their mark the following day, as Angel Cariño shattered her own mark in the triple jump. The Lady Green Trackster’s leap of 12.72 was 12 cm adrift from her 12.60 established during UAAP Season 79. On the other hand, Shiela Talja of the Ateneo ended with the silver with a heave of 12.09, as FEU’s Kay Mosqueda at 11.93 was rewarded with the bronze. 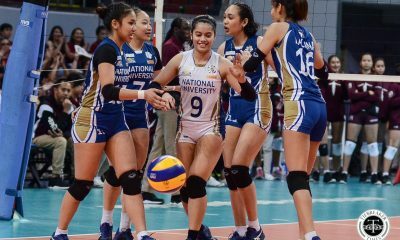 The main showdown, however, boils down to the last two champions UST and FEU, as the two squads tried to outdo each other in the other events. At the break of day, the Lady Tamaraws started their chase, as Jolda Gagno snared the gold at the 5000 meter run at the time of 18:44.13. Fighting Maroons Mea Niñura and Diane Ong finished second and third, respectively, at 18:55.83 and 19:00.93. In the Thursday morning’s javelin throw, it was the Female Tracksters of España who celebrated with the gold, as Efrelyn Democer topped the finals with 43.44 m.
FEU, however, made their move and surpassed UST in the overall tally with this event, as Jerremay Rubias and Josefa Ligmayo got the two other medals. Rubias bagged the silver at 40.86 m, while high jump gold medalist took a bronze this time at 39.21. The defending champions, nonetheless, had the last hurrah of the day, as Karen Janario and Louielyn Pamatian finished 1-2 in the 200 meter dash. Janario claimed her second gold of the season — a sprint double, clocking in at 25.04 sec. Pamatian, on her part, showed her versatility and added this 25.45-second silver to her 800-meter gold. Ateneo’s Kimberly Zulueta ended with the bronze at just 0.01 after.